Cahir Physiotherapy Clinic is one of Tipperary’s leading physiotherapy and sports injuries clinics. Established by Karen Coughlan Chartered Physiotherapist in 2008, we have expanded steadily and are now a team of four experienced and highly skilled Chartered Physiotherapists, passionate about getting you really better! 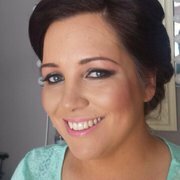 Karen is a passionate Sports Chartered Physiotherapist who graduated from University College Dublin in 2002. She worked in the Midland Regional Hospital in Tullamore before travelling to Melbourne Australia in 2004. She graduated with a Masters in Sports Physiotherapy from the University of Melbourne, coming top of the class. Since her return, Karen has worked in High Performance sport and private practice. 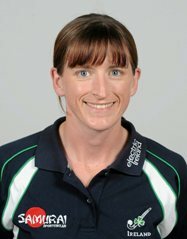 She was the Head Physiotherapist with Irish Hockey for 7 years 2005-2012, travelling worldwide with the Irish Senior Women’s Hockey Squad. In addition, she worked at the Irish Institute of Sport with the Irish Sports Council in 2011-2012 including a period with the High Performance Swim Squad based at University of Limerick. She is an ISCP Accredited Level 3 (highest level) Sports Physiotherapist. She was the Chartered Physiotherapist with the Tipperary Senior Gaelic Football team from 2011- 2014. Karen was a member of the 2014 Tipperary GAA Player Welfare Committee. She now works with Cahir GAA. Marie graduated from The Royal College of Surgeons in Ireland with a Bachelors Degree in Physiotherapy with Honours. She is a native of County Kerry with a strong sporting background; Marie played Gaelic football with the Kerry Minor & Junior Ladies Gaelic football teams in 2005. She was the Chartered Physiotherapist with the Tipperary Senior Football team from 2012- 2015, and worked on the GAA Injury Database. She has worked with many GAA teams in South Tipperary: Galtee Rovers GAA, Cahir GAA, Moyle Rovers GAA and Ballylooby GAA to name a few. Marie was the Chartered Physiotherapist with the Munster Under- 18 Schools Rugby Team in 2013 throughout their interprovincial campaign and travelled to France for a tie against Biarritz in August 2013. She was Chartered Physiotherapist for the Rockwell College Senior Cup school rugby team in the autumn of 2013. Marie has trained with the Australian Physiotherapy and Pilates Institute (APPI) and teaches Beginners, Intermediate and Osteo-Pilates classes. In addition, she is trained in Dry Needling, a technique which is very effective for treatment of soft tissue injuries. Caroline O’ Connell graduated from Trinity College Dublin in 2004. Caroline worked initially in Tallaght Hospital, Dublin while also teaching in Trinity and completing research throughout Europe in the area of stroke rehabilitation. She has a special interest in treating neurological conditions such as stroke, Parkinson’s Disease and Multiple Sclerosis. Caroline has worked in private practice since 2007 treating a wide range of sporting and work related injuries. She has worked with a range of sports teams from rugby to tennis, along with athletes from joggers to Ironmen. Caroline completed post graduate training in the UK in the area of Women’s Health and is a specialist in treating continence, prolapse and pelvic pain. Aisling graduated with a First Class Honours Degree in Physiotherapy from the University of Limerick. Aisling’s Final Year Research Project examined the effects of an exercise and education intervention on physical activity for people with Multiple Sclerosis. Aisling is a keen sportsperson who has represented her club Cahir in ladies Gaelic football and camogie. She has also represented Tipperary, Munster and University of Limerick (UL) in Gaelic football.She won O’ Connor Cup (ladies football) and Ashbourne (camogie) honours with UL. Aisling was a member of the successful Tipperary ladies football team who won the All- Ireland Intermediate title in 2017 and Lidl National League Division 2 in 2018. Aisling captained Cahir to the All- Ireland Intermediate Camogie Club title in 2016.